Scrape online data in minutes. Replace copy & paste. Find websites that have the data you want to use. Extract html, text, images, links from sites. Access the scraped data via CSV/Excel, JSON or the API. Scrape millions of data points into Excel, in minutes. Extract online data to power your data-models & academic research. Integrate web data into Tableau and plug data into visualizations. Write a compelling story with data-driven journalism. Scrape and store data on our servers automatically. Easy to use graphic interface. Click on web pages to get data. Use RegEx to clean text & HTML before downloading data. Connect to our API and integrate your extracted data any where. ParseHub clicks the "next" button and gets data on every page. You can enter thousands of urls to scrape data from. 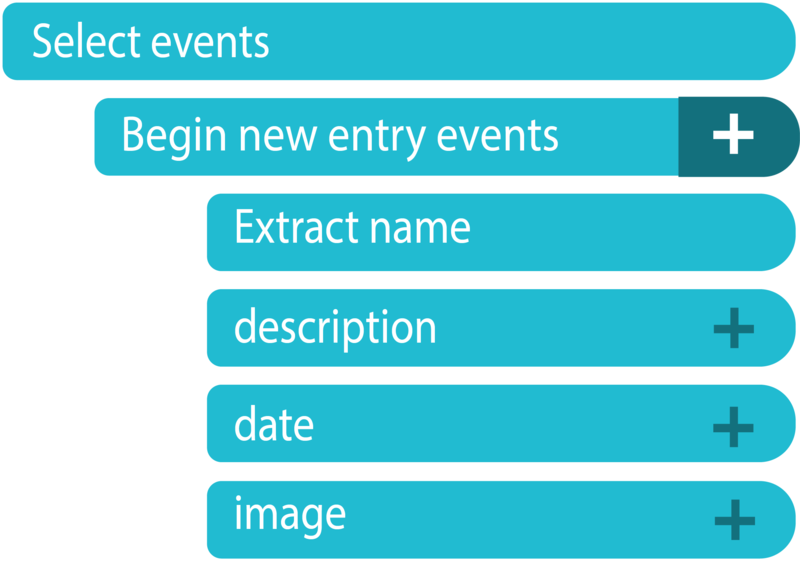 Scrape data from behind a log-in, search, drop-downs, tabs and forms. ParseHub detects similar elements on the page for you. Just open a web page and click on the data you want to scrape. 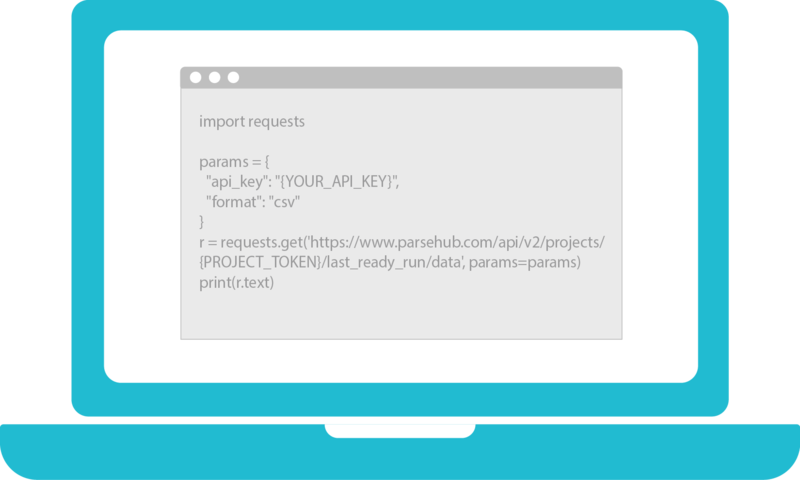 Use our API to pull scraped data from websites into your database. Download online data into an Excel file or analytics software. Save hours copying, pasting and coding!